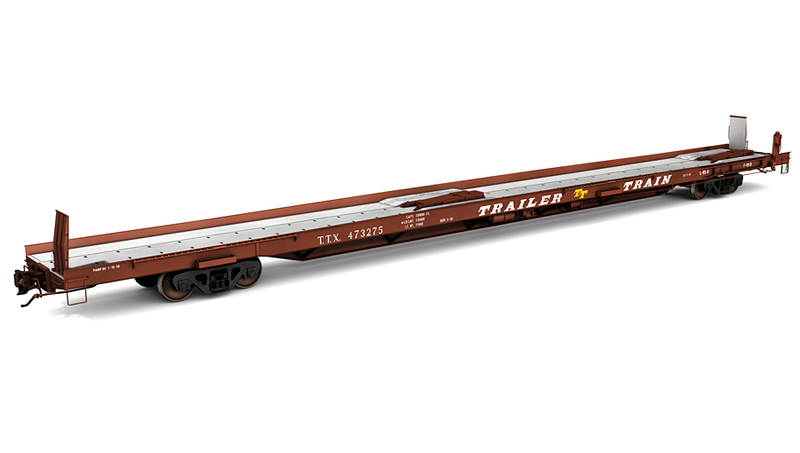 Pullman Standard F85B piggyback flatcar, Trailer Train oxide red. 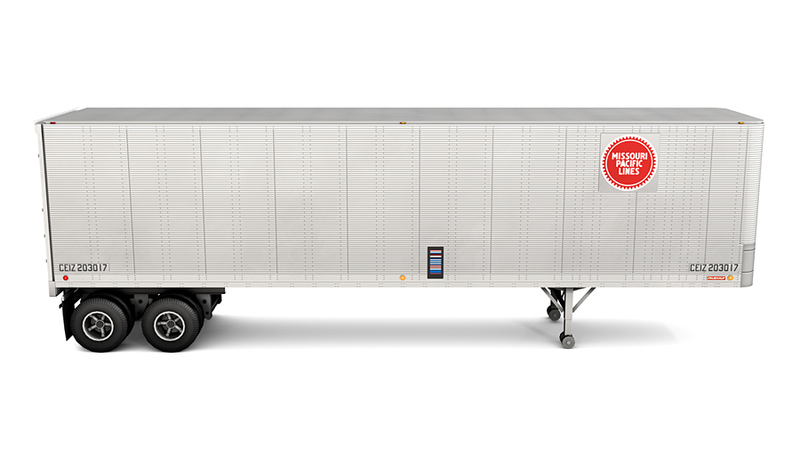 Includes ten (10) 40' Fruehauf beaded Z-Van trailers. 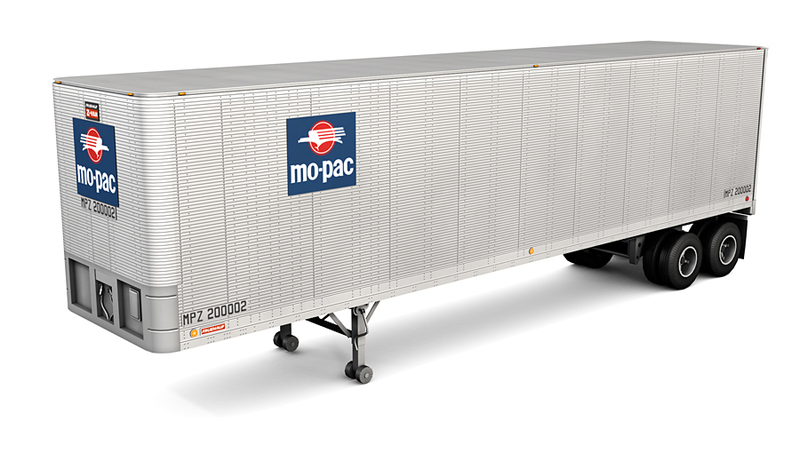 As 40' long trailers became legalized on the interstate, older, shorter, flatcars could not load two 40' trailers on a flatcar at once. 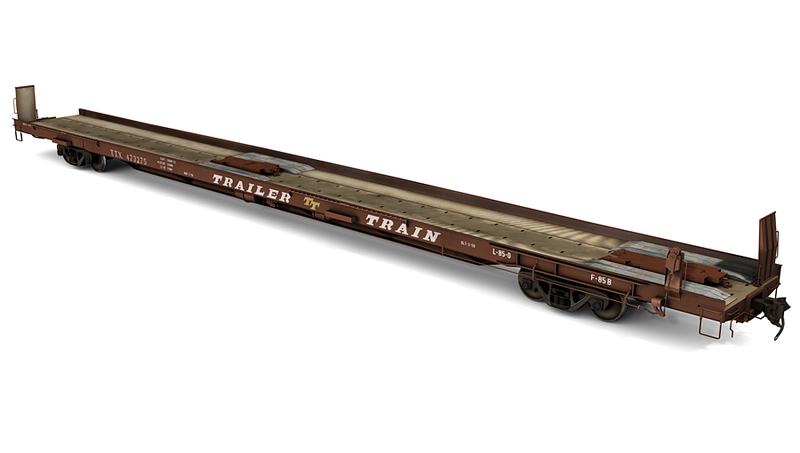 Pullman Standard introduced the first 85' flatcar in 1958 to accommodate the new 40' trailer length standard. 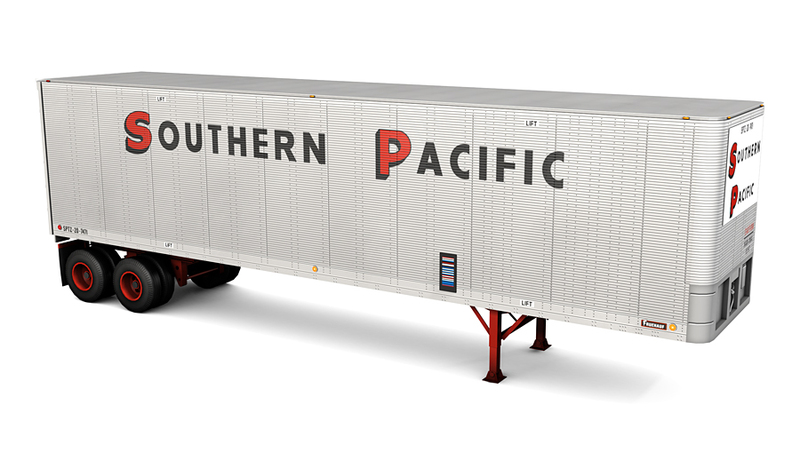 One of the innovations of these piggyback flatcars are their standardized ACF screw-operated hitches. 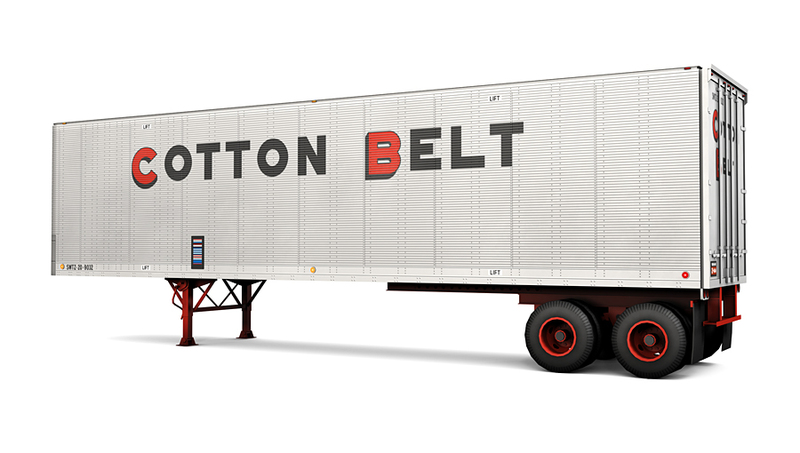 In 1958, hitches were still a relatively new technology, and before the standardized hitch, trailers were secured to a flatcar by chains. 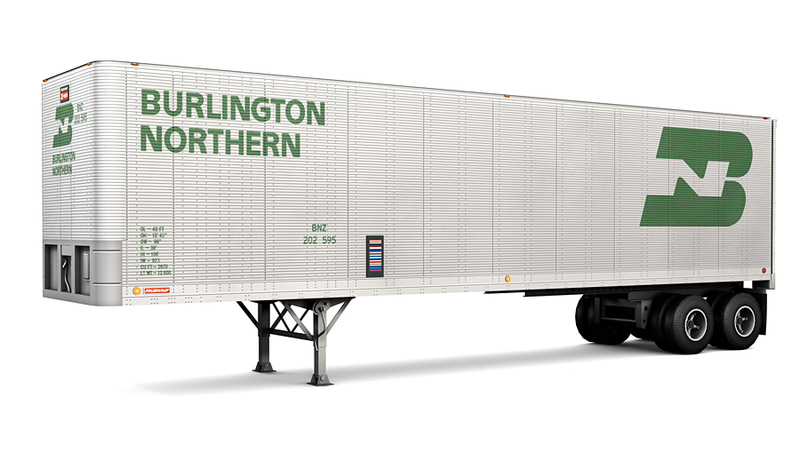 Earlier F85B flatcars had bars located on their side-sills to allow for trailers to still be secured by chains. Loading trailers onto flatcars at the time was done "circus-style." Circus-style loading involved moving the string of piggyback-flatcars to a ramp for loading and unloading. 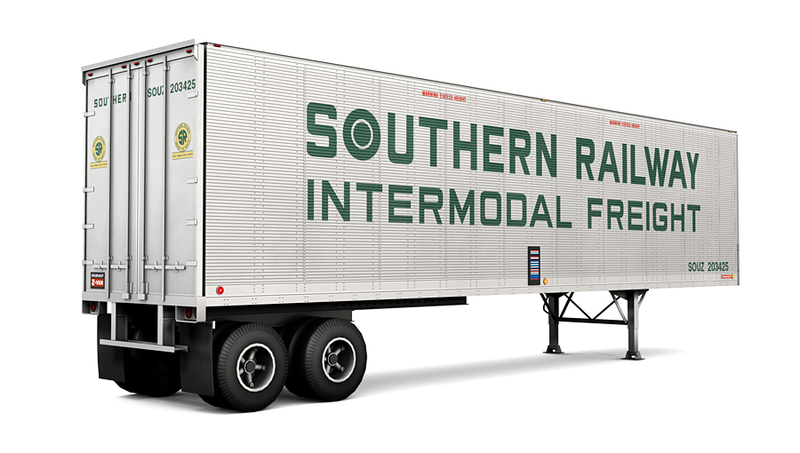 Trailers would then be reversed onto the flatcars and their appropriate hitch one by one. To aid in this process, F85B flatcars had "rub-rails" to help align and keep the trailers straight while loading. 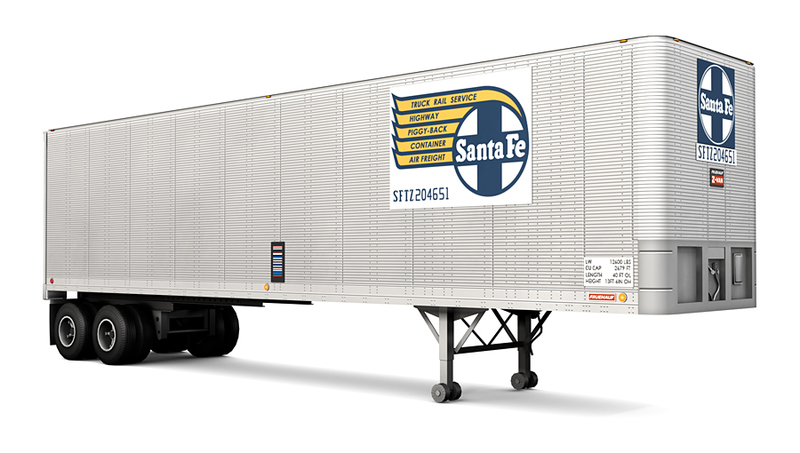 As time progressed, loading trailers by overhead gantry crane, or by specialized forklifts (Piggy Packers) became more commonplace. 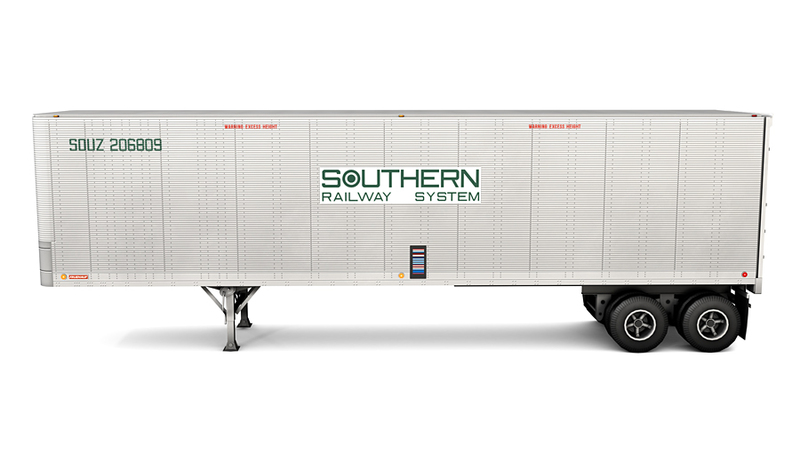 The 85' flatcar length standard would eventually be increased to 89' to accommodate even longer 45' trailers. 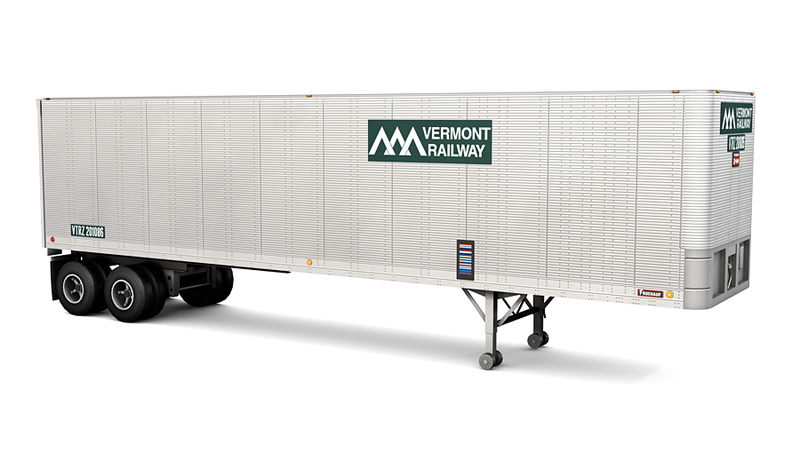 Even though trailer lengths increased, some of these F85B flatcars were still operated in revenue service well into the 1980s. Two Unique Skins: Brand New, and Weathered. Load Animations: ACF hitches stay lowered when not loaded. 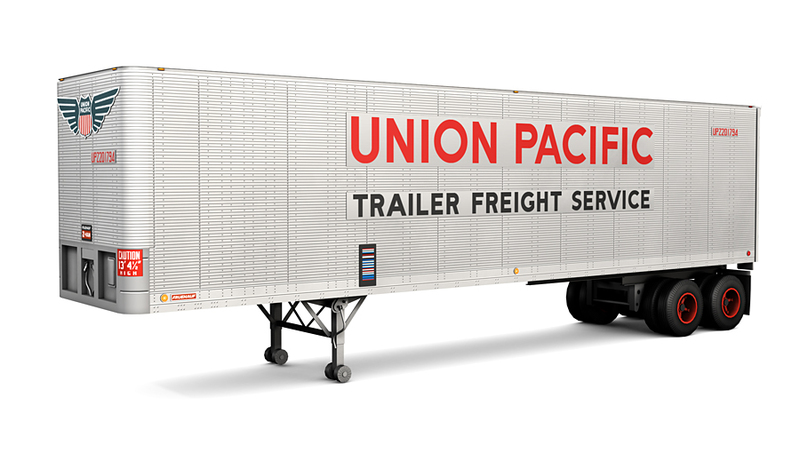 Hitches rise when a trailer is placed on the flatcar. NumberIT Scripting: Enables automatic randomized running numbers on F85B flatcar.